We study the three-loop Euler-Heisenberg Lagrangian in spinor quantum electrodynamics in 1+1 dimensions. In this first part we calculate the one-fermion-loop contribution, applying both standard Feynman diagrams and the worldline formalism which leads to two different representations in terms of fourfold Schwinger-parameter integrals. Unlike the diagram calculation, the worldline approach allows one to combine the planar and the non-planar contributions to the Lagrangian. Our main interest is in the asymptotic behaviour of the weak-field expansion coefficients of this Lagrangian, for which a non-perturbative prediction has been obtained in previous work using worldline instantons and Borel analysis. We develop algorithms for the calculation of the weak-field expansion coefficients that, in principle, allow their calculation to arbitrary order. Here for the non-planar contribution we make essential use of the polynomial invariants of the dihedral group D4 in Schwinger parameter space to keep the expressions manageable. As expected on general grounds, the coefficients are of the form r1 + r2ζ3 with rational numbers r1, r2. We compute the first two coefficients analytically, and four more by numerical integration. W. Heisenberg and H. Euler, Consequences of Dirac’s theory of positrons, Z. Phys. 98 (1936) 714 [physics/0605038] [INSPIRE]. G.V. Dunne, Perturbative-nonperturbative connection in quantum mechanics and field theory, in Proceedings of Continuous advances in QCD Conference, Minneapolis U.S.A. (2002), pg. 478 [hep-th/0207046] [INSPIRE]. G.V. Dunne and C. Schubert, Two loop selfdual Euler-Heisenberg Lagrangians. 1. Real part and helicity amplitudes, JHEP 08 (2002) 053 [hep-th/0205004] [INSPIRE]. G.V. Dunne and C. Schubert, Two loop selfdual Euler-Heisenberg Lagrangians. 2. Imaginary part and Borel analysis, JHEP 06 (2002) 042 [hep-th/0205005] [INSPIRE]. I. Huet, M. Rausch de Traubenberg and C. Schubert, Asymptotic Behaviour of the QED Perturbation Series, Adv. High Energy Phys. 2017 (2017) 6214341 [arXiv:1707.07655] [INSPIRE]. G.V. 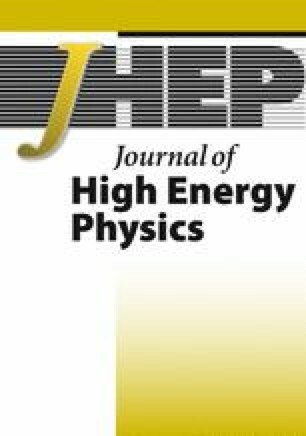 Dunne and M. Krasnansky, ’Background field integration-by-parts’ and the connection between one-loop and two-loop Heisenberg-Euler effective actions, JHEP 04 (2006) 020 [hep-th/0602216] [INSPIRE]. I. Huet, M. Rausch de Traubenberg and C. Schubert, The Euler-Heisenberg Lagrangian Beyond One Loop, in Proceedings of 10th Conference on Quantum Field Theory under the Influence of External Conditions. Devoted to the Centenary of H.B.G. Casimir. (QFEXT ’11), M. Asorey, M. Bordag and E. Elizalde eds., Benasque Spain (2011) [Int. J. Mod. Phys. Conf. Ser. 14 (2012) 383] [arXiv:1112.1049] [INSPIRE]. I. Huet, M. Rausch de Traubenberg and C. Schubert, Multiloop Euler-Heisenberg Lagrangians, Schwinger pair creation and the QED N-photon amplitudes, PoS LL2018 (2018) 035 [arXiv:1807.05938] [INSPIRE]. C. Schubert, Vacuum polarization tensors in constant electromagnetic fields. Part I, Nucl. Phys. B 585 (2000) 407 [hep-ph/0001288] [INSPIRE]. D.J. Broadhurst, R. Delbourgo and D. Kreimer, Unknotting the polarized vacuum of quenched QED, Phys. Lett. B 366 (1996) 421 [hep-ph/9509296] [INSPIRE]. M. Krasnansky, Quantum gauge field theory, Ph.D. Thesis, University of Connecticut, Storrs U.S.A. (2007), https://opencommons.uconn.edu/dissertations/AAI3270964. 5.Kavli Institute for Theoretical PhysicsUniversity of CaliforniaSanta BarbaraU.S.A.